Nominees for Best Direction in a Feature Film are Brendan Fletcher for Mad Bastards, Justin Kurzel for Snowtown, Julia Leigh for Sleeping Beauty and Kriv Stenders for Red Dog. Nominated in the Documentary Feature category are Tony Krawitz for The Tall Man, Rhys Graham and Natasha Gadd for Murundak â€“ Songs of Freedom, Bob Connolly and Sophie Raymond for Mrs Careyâ€™s Concert, and Tom Zubrycki for The Hungry Tide. Nominees for Best Direction in a TV Drama Series are Matthew Saville for The Slap (Ep 3 â€“ Harry), Peter Andrikidis for East West 101 (The Price of Salvation), Jet Wilkinson for Crownies (Ep 22) and Peter Duncan for Rake (Ep 1 â€“ vs Murray). Nominated in the Documentary Series are Ivan Oâ€™Mahoney for Go Back to Where You Came From, Paul Scott for Outback Fight Club and Jacob Hickey for Immigration Nation. Nominated in the Documentary Stand Alone category are Phoebe Hart for Orchids: My Intersex Adventure, Celeste Geer for Then The Wind Changed, Robert Nugent for Memoirs of a Plague and James Bradley for Ochre & Ink. Matthew Saville has received a second nomination for Best Direction in a TV Mini Series for Cloudstreet. Jeffrey Walker has also been nominated in this category for Small Time Gangster. Peter Andrikidis has also received a second nomination. He is nominated for Best Direction in a Telemovie for Blood Brothers. Also nominated in this category are Shawn Seet for Underbelly: Tell Them Lucifer Was Here and Emma Freeman for Hawke. Nominees for Best Direction in a TV Comedy are Trent Oâ€™Donnell for Laid, Jeffrey Walker, Stuart MacDonald and Chris Lilley for Angry Boys and Trent Oâ€™Donnell for Review with Myles Barlow (Series 2). Nominated for Best Direction in a TV Drama Serial are Geoffrey Nottage for Home & Away (Ep 5215), Jonathon Dutton for Neighbours (Ep 6188), Scott Hartford-Davis for Home & Away (Ep 5292) and Ralph Strasser for Neighbours (Ep 6065). Nominees for Best Direction in TV Reality Program/Light Entertainment are Ken Connor and Kathy Chambers for RocKwiz â€“ On the Road, Mark Adamson for Dancing with the Stars and Craig Melville and Nathan Earl for Lawrence Leungâ€™s Unbelievable (Ep 1). Nominees in The Esben Storm Award for Best Direction in a Childrenâ€™s TV Program are Jeffrey Walker â€“ his third nomination â€“ for H20: Just Add Water (Series 3), David Scott for Star Wars LEGO, Rachel Ward for My Place (1828 Alice) and Michael James Rowland for My Place (1878 Henry). 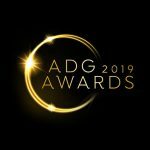 Nominees for Best Direction in a Television Commercial are Damien Toogood for Sydney Dogs and Cats Home, Sean Meehan for Sleep Walker, Bruce Hunt for Subaru XV â€˜Carwashâ€™ and Sean Meehan for Volkswagen â€˜Cross Countryâ€™. Nominees for Best Direction in a Music Video are Guy Verge Wallace for Wrecking Ball and Steve Rogers for Jack Ladder â€˜Cold Feetâ€™. 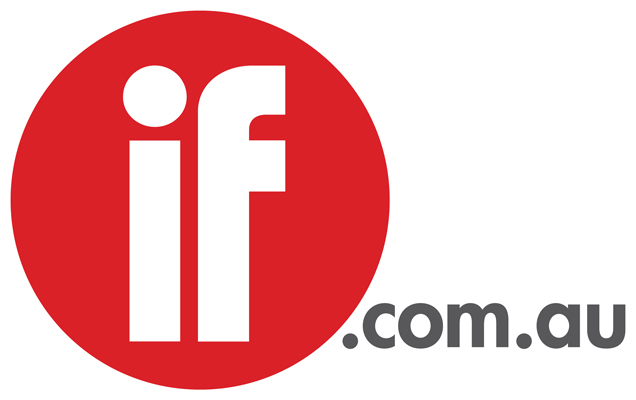 Nominees for Best Direction in an Original Online Project are Glendyn Ivin for Playground, Dario Russo for Danger 5: The Diamond Girls and Paul Goldman for Sydney Opera House â€“ Ship Song Project. Nominated for Best Direction of a Short Film are Ashlee Page for The Kiss, Dimitrios Pouliotis for Unfinished Thoughts and Craig Irvin for Tethered. The nominees for Best Direction in a Student Film are 'Epiphany Morgan for The Room, Billie Pleffer for BINO, David Easteal for The Father and Corrie Chen for Wonder Boy. The ADG Award winners for 2012 will be announced at a black tie Awards ceremony, to be held as part of the ADGâ€™s 30th anniversary celebrations, at the Australian Maritime Museum, Sydney, on May 11.
â€œThis will be the largest celebration and Awards ceremony the ADG has ever hosted and will be an opportunity to highlight the many achievements of ADG members over the past 30 years and the significant role they have played in the development of the Australian screen industry, as well as to honour the best directors of 2012,â€Â said Kingston Anderson, General Manager of the ADG.